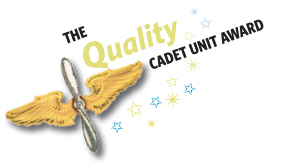 Welcome to the Squadron 300 New Cadets page. Here you will find guidance on uniforms, promotions, activities, and much more information that will help you while you are part of the cadet program. On the "Uniform" page you will find some great information on the uniforms we wear and how to care for them and wear them properly. The "Useful Documents" page includes useful information and documents relating to different parts of the cadet program. Each of these is suggested or, in some cases, required reading for every cadet in the squadron. These documents will answer many of your questions concerning uniform wear, testing, attendance, promotions, orientation flights, and much more. If you have suggestions of other items that should be included here, forward your suggestions to the cadet staff through the chain of command for consideration.